Note: MT108N doesn't have the flashlight, if you need the model which has the flashlight, you can condiser MT108 and MT108T. The MUSTOOL MT108N is a pocket-sized 6000 counts automatic digital instrument. With a large-screen LCD display, boost power supply, even in the 2.3V low battery edge, it can guarantee the backlight high brightness, the table is easy to carry, is a vast number of users extremely like the instrument, the backlight can be bright can be automatically turned off after 15 seconds.It's an ideal tool for the laboratory, factory, radio enthusiasts and families. HD LCD screen display with backlight . Live wire distinguish. When measured to the live wire, the buzzer will buzz and the screen will light up. 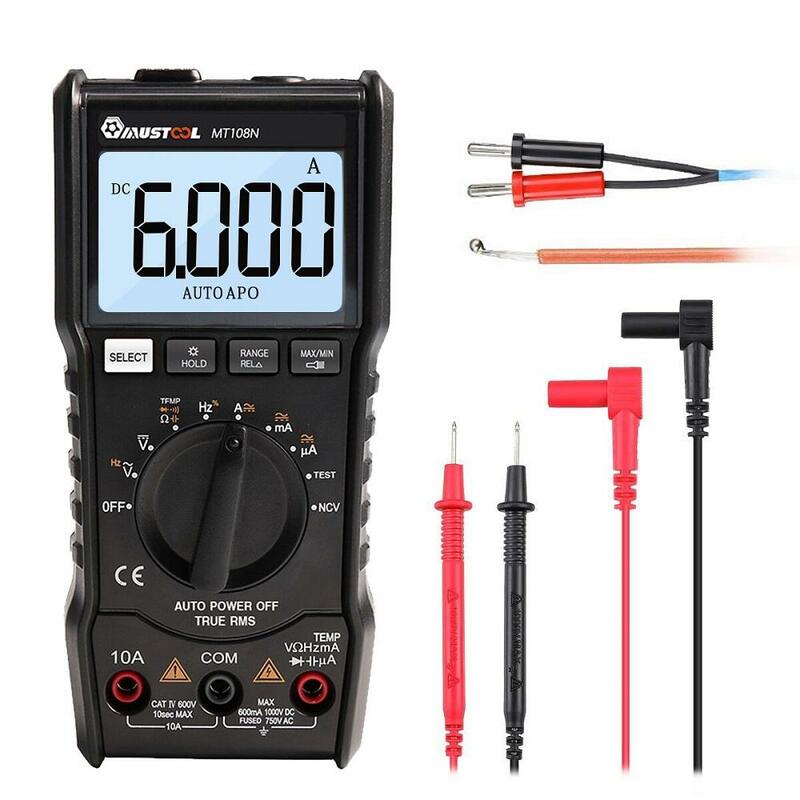 Main measurement/functions: NCV(Non contact voltage), temperature, AC/DC voltage, AC/DC current, resistance, capacitance, diode, frequency, duty cycle, continuity, buzzer.